LEDs have always offered a more environmentally-friendly and energy efficient lighting source. Although still in the early adopter phase, usage has steadily trended upward. 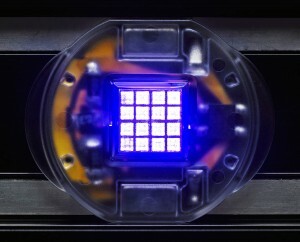 Better LED fixture and array designs are helping to revolutionize the global solid-state lighting market. Even as standards are still being developed, retrofit projects are on the rise as traditional lighting technologies are replaced and retired. Architects, designers and consumers have more choice in lighting sources than ever before. The latest advancements have brought to the market standard and customized products that enable creative, nuanced lighting choices to illuminate commercial, industrial and residential spaces. Molex interconnect technologies provide electronic interfaces between the LED light source and the power source. In the past you couldn’t easily change out an LED once it was in a fixture. That has changed. Modular LED solutions can now blend the electronic subassembly, light source and optics, and are gaining market-share as a cost-effective all-inclusive fix for replacement projects and new builds. The 2010 introduction of the award winning Helieon™ 120V sustainable light module, in addition to subsequent socketed Molex plug-and-play LED models, allow a direct connection to an AC power line and the convenience of easy interchangeability. That’s a major improvement for both retailers and OEMs bringing products to market faster. In many cases, fixture OEMs can readily take existing designs and, with minor modifications, convert them to LED fixtures. We are seeing firsthand success among early adopters of LED lighting, which continues to gain traction in backlighting applications and the automotive sector. However, the latest electronics and LED designs are only beginning to make inroads into more diverse general illumination markets which represent a bulk—roughly 75 percent—of the lighting market. Broader deployment leading to adoption will require concerted efforts to drive down costs and refine technologies that can better meet the performance expectations of luminaire OEMs, as well as demanding users in industrial, automotive, professional and consumer spaces. A recent McKinsey & Company report entitled “Lighting the Way: Perspectives on the global lighting market” reminds us that, however transformative, LED is only the fourth lighting technology that has been introduced in the entire history of humankind. Unlike the high product refresh cycles often seen in other industries, lighting technologies must have staying power. Using a McKinsey model to compile data, the results suggest LED market share to accelerate, with global revenues from LED lighting reaching almost 60 percent of the overall lighting market in the next decade. Underscoring the “fundamental disruption of the lighting industry along the entire value chain” caused by the shift from traditional electrical filament or plasma lights to LEDs powered by semiconductors, the report simultaneously acknowledges the “high design flexibility” that LEDs make possible. Although a smaller segment of the overall lighting market, architectural lighting has been the earliest adopter leveraging the aesthetic value of LEDs, and is projected to represent over 85 percent LED market share by 2020. With residential lighting representing 40 percent of the general illumination market, the report notes the complexity OEMs must overcome, both geographically and culturally, to ensure responsive and user-proof LED technologies and products for consumers living throughout the world. The demand will only intensify with incandescent bans becoming a global movement. Asia in particular has become the leading market for both LED & general lighting. Concurring with most industry analysts, McKinsey projects lighting markets in Asia will only surge. They estimate that by 2020 China alone will represent 45 percent of the total global lighting market, due to both its emerging economy and sheer size in terms of general lighting needs. McKinsey’s report covers major lighting applications, technologies, and global markets, offering cogent insights on the status quo, megatrends and forecasts through 2020. It may be the most comprehensive global lighting research and industry survey conducted to date. Definitely a worthwhile read (http://ledsreview.com/news/1115/).